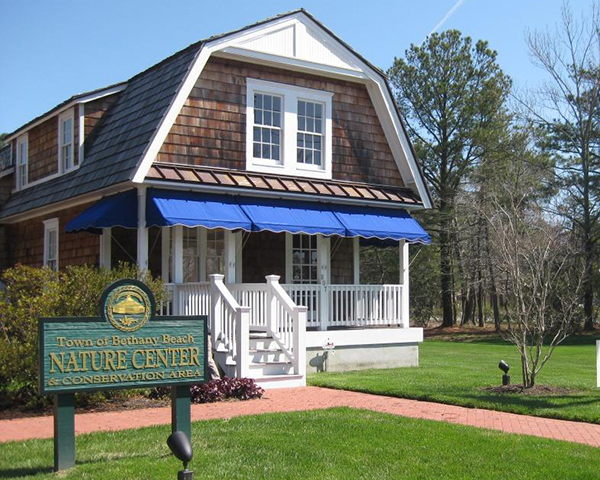 Visit our friends at the Bethany Beach Nature Center for children’s programs, indoor and outdoor exhibits and more information about local nature. Inside the Nature Center, visitors can explore interactive exhibits or complete a nature activity. Outside, visitors can make a similar exploration through forest and marsh along a handicap-accessible boardwalk! The 26-acre conservation area includes three acres of forested uplands, nine acres of freshwater wetlands, and fourteen acres of tidal wetlands. This is a FREE, fun-filled morning of indoor and outdoor activities. Weekly themes and projects include monarch butterflies, horseshoe crabs, Diamondback terrapins, bats, whales – and more! This program is geared towards families with children ages 2 – 8 and all children must be accompanied by an adult. Call the BBNC for details at (302) 537-7680.